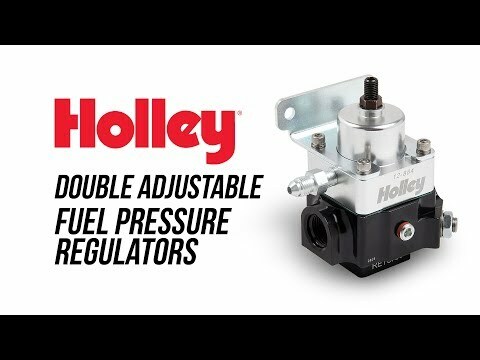 Holley's new double adjustable fuel pressure regulators are designed for belt or cable driven pumps where fuel flow changes with engine rpm. These regulators are compatible with E85 and alcohol applications. 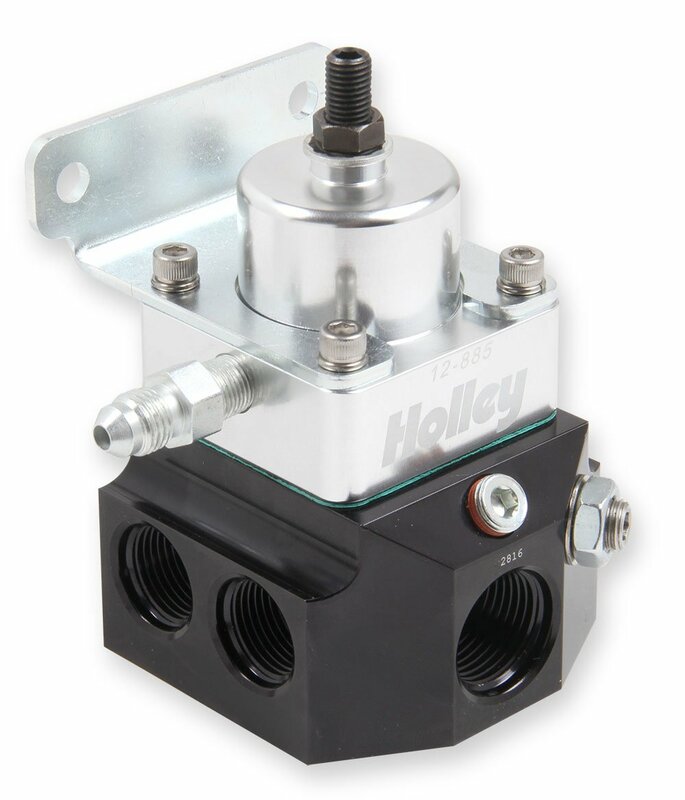 Made from billet aluminum, these regulators are offered in both 2-Port and 4-Port models to complete your fuel system requirements. The idle adjustment design is strategically placed so that none of the ports are blocked like other designs. These regulators retain the true 2 and 4 port flow. •	Alcohol and E85 compatible. •	4 Port model available with 10AN inlet and 8AN outlet ports.